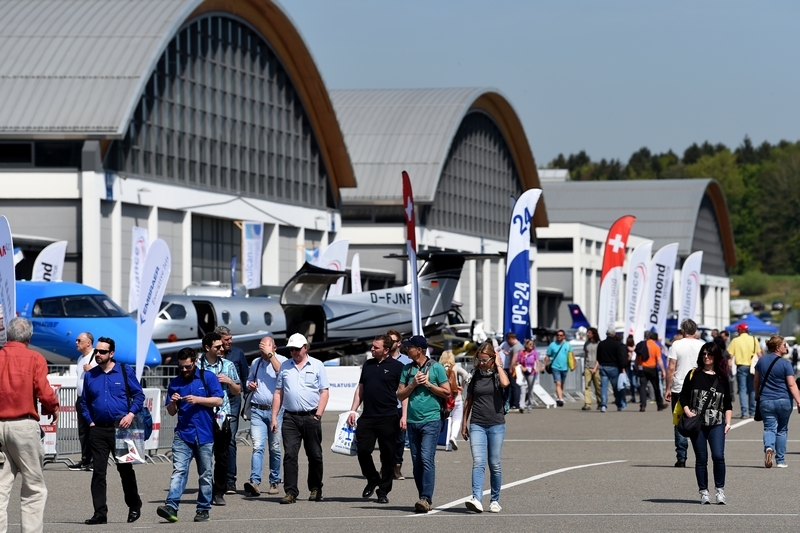 Friedrichshafen, Germany – Preparations for AERO 2019 are in full swing. The 27th edition of AERO is slated to be the most comprehensive ever. 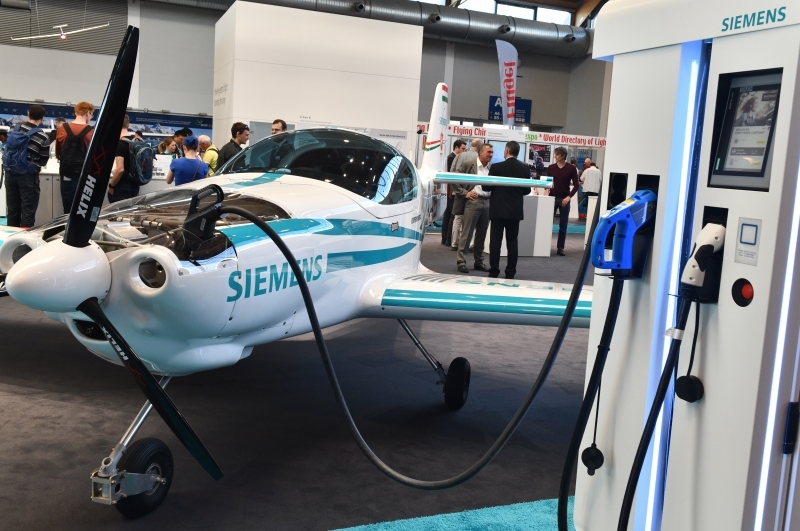 The range of aircraft on display at the Friedrichshafen Exhibition Grounds from April10 to 13, 2019, will include gliders, low-cost, ultra-light aircraft with take-off weights under 600 kilograms, light high-performance passenger aircraft, helicopters, and exclusive business jets. AERO?S e-flight-expo will be even more prominent, this year. Industry experts predict significantly growing demand for electrically-powered aircraft, as well as autonomous vertical take-off and landing (eVTOL) aircraft. At AERO, the media will get their first chance to see how VTOLs fly. The latest flight navigation devices will be presented on Avionics Avenue, while the Engine Area will showcase the newest propulsion systems. Meanwhile, those interested in becoming pilots can find out about private and professional opportunities in the Be a Pilot area. For more detailed insights, they can visit the Flight Simulator Area, which, in addition to the “First Flight in a Simulator? exhibit, features equipment approved for pilot training. At the new Pilot Competence Center in Foyer West, the AOPA, the EASA and the German Weather Service will provide solid answers to any pilot-related question. Non-military specialized drones will take center stage at the Aerodrones/UAS Expo, which will be held on the first two days of AERO (Wednesday, April 10 and Thursday, April 11) in Hall A2, and focus on this aircraft type?s wide array of applications. For the second year in a row, AERO?s helicopter hangar in Hall B5 will be a completely self-contained area exclusively reserved for choppers. At the center of this area will be the DHV (German Helicopter Association) stand, as well as the Helicopter Forum. The exhibitors’ offerings cover everything from air rescue services to work missions in impassable terrain. Exhibition Director Klaus Wellmann and Project Manager Roland Bosch point out that the booking status for AERO 2019 is already excellent six months ahead of the exhibition, and that every major general aviation manufacturer will be present on the shores of Lake Constance. “AERO Friedrichshafen 2019 will occupy every exhibition hall and feature a whole host of world firsts,? says Roland Bosch, who is delighted with the general aviation industry?s continuing strong growth, as well as with the excellent feedback about AERO. AERO offers a complete range of products and services in every area of general aviation. The range of aircraft on display will include civil drone aircraft, gliders, ultralight aircraft, gyrocopters, helicopters, light piston-engine aircraft, propeller turbine and business jets. New propulsion systems, state-of-the-art avionics, services and accessories for pilots are further focal points. Information presented by the general aviation industry at the AERO Conferences, as well as pilot training offers and career opportunities will round out Europe’s largest general aviation trade fair. At Lake Constance you can take in the complete range of every established manufacturer – from aircraft equipped with anything from piston engines to propeller turbines. This diversity of aircraft types is the characteristic feature of general aviation. For example, the newer generation of so-called Echo Class machines, as well as several new innovations to the trade show, will also be on display. The ultralight aircraft come in the form of gliders and motorized planes, seaplanes, and gyrocopters. In Germany, the category also includes helicopters and 120-kilo one-seaters. But something is afoot at the other end of the ultralight weight range: The maximum take-off weight for two-seater ultralights is to be increased in Europe from 472 kg (1,041 lbs) to 600 kg (1,323 lbs). This will offer greater flexibility to ultralight pilots who want to fly in pairs or with larger payloads. Many of these innovations will be presented at AERO. AERO Friedrichshafen first began featuring gliders over 40 years ago. The Glider Hall (A1) on Lake Constance brings all the world?s elite gliders under one roof – from single-seaters and two-seaters to entry-level gliders and super orchids. New motorized gliders will also be on hand. These will primarily be models equipped with retractable propulsion systems with either piston or electric motors, but some will even have small jet turbines. In the Business Aviation section of AERO Friedrichshafen manned aviation gets a considerable upgrade. Aircraft fitted with multiple piston engines, but mainly turboprops and light- to medium-sized jets are the trade show?s cornerstone. In Europe, commercial aircraft with single-engine turbines are now approved for instrument flight operation, offering their manufacturers new sales markets. The positive economic trend in the United States and Germany also points to increasing sales opportunities for the makers of multi-engine business jets. These corporate aircraft are primarily aimed at those who need to travel rapidly and flexibly to and from anywhere, including small airports. Such clients range from emergency services responding to accidents to engineers and business executives rushing to far-away meetings. After all, in business aviation time is truly money. The e-flight-expo has been expanded once again and, as in previous years, will showcase alternative propulsion concepts in a hall all its own. More and more of today?s aircraft are equipped with electric or hybrid propulsion systems. In addition, large corporations and numerous start-ups are involved in the development of vertical take-off electric aircraft projects. Several of these taxi drones (e-VTOL) have already entered the testing phase. These efforts indicate the increasing significance that electric flight will have around the globe. The AERODrones/UAS Expo, as well as the drone driving license recently introduced in Germany, demonstrates that private-use drones are becoming an important part of modern aviation. On the first two days of AERO 2019, unmanned aircraft from several different manufacturers, equipped with the most modern sensor and measurement technology, will be exhibited in Hall A2. In an exclusive area of Hall A2 reserved for visiting police services, AERODrones will also feature a variety of specialized drones for police deployment. AERO will also again provide in-flight airfields for unmanned aerial systems (UAS), enabling exhibitors to demonstrate their systems live. The Engine Area at the AERO is also well established. Once again, modern aircraft engines and propulsion systems from a wide range of manufacturers will be on display in their own special area. These will include electric, internal combustion and hybrid engines. Maintenance and engine management will also be in focus, as will advances in alternative and sustainable fuel technologies. One of the most important areas of aviation are cockpit systems and instruments for flight navigation. Each year on Avionics Avenue in Hall A6, the latest developments in on-board equipment for aircraft and helicopters are presented. Flight planning instruments, as well as the latest headsets for on-board communication, will also be exhibited. Visitors will also have the chance to try out numerous new systems in the Headset Area, for instance. In 2019, the new Flight Simulator Area will make its second appearance at AERO Friedrichshafen. In this area, everything will be focused on flight simulation, both in pilot training and for everyone who wants to see what it feels like to control an airplane or helicopter and get an impression of life in the cockpit. Training-approved simulators will also be on hand. Having the exceptional chance to fly a newer, larger or faster aircraft is highly appealing to more than just novice pilots. Even highly experienced pilots with lots of flying hours can develop their skills in a simulator. At AERO 2019 in the Helicopter Hangar (Hall B5), the rotary-wing aircraft will once again be given the attention and respect that they, as the busy bees of aviation, deserve. Single and multi-engine helicopters equipped with piston or turbine engines are active in training, air rescue and work flights. Ultralight helicopters have also made entry more affordable. In addition, initial field tests of parachute rescue systems for helicopters are bound to attract more attention to the industry. The previously successful Be a Pilot area will return in 2019 to serve as a convenient meeting place for pilots, as well as those interested in learning to fly. Currently, the business aviation sector and the airlines with their growing fleets are seeking to hire more pilots. Studies estimate that up to 635,000 new commercial pilots will be needed over the next 20 years, 145,000 of them in Europe. The Be a Pilot program provides information from the authorities and associations, and offers flight school and university study opportunities. The AERO Conferences, which has become one of the cornerstones of AERO Friedrichshafen, will feature more than 200 lectures, conferences and workshops on current topics. At the AERO Conferences, experts from pilots? associations like the AOPA, regulatory authorities, and general aviation manufacturer associations such as GAMA and LAMA will discuss and provide information concerning developments in the field of aviation. The umbrella organization for unmanned aerial vehicles will also be on hand again with its drone symposium. AERO 2019 will run from April 10 to April 13, 2019. For further details, visit http://www.aero-expo.com.